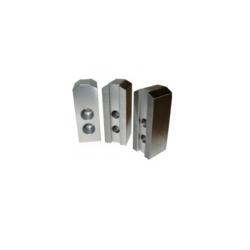 Manufacturer of a wide range of products which include cnc jaws, cnc special jaws, l series extra length base jaws, cnc jaws special type, inner and outer diameter cnc jaws and soft cnc jaws. 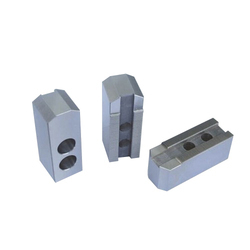 With our spacious experience and information, we are busy in offering a broad range of CNC Jaws. 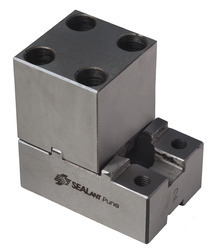 The offered locking jaw is precisely manufactured with supreme quality material and cutting-edge technology according to the set industrial norms. 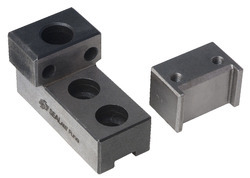 Hexagonal bar clamping is possible, with hardened flat tips. 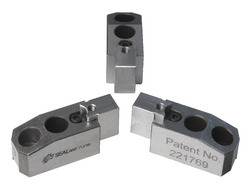 Being a quality-oriented organisation, we are engaged in providing a wide array of CNC Special Jaws to our clients. The offered range is manufactured using the best quality raw material with superior technology. Owing to years of experience in the industry, we render world-class range of L Series Extra Lenght Base Jaws that is acclaimed for its exceptional durability and quality. Our entire products are processed under the supervision of experienced professionals, thereby rendering utmost client satisfaction. 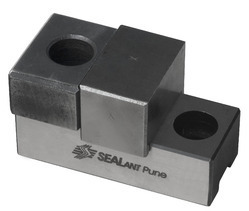 We maintain quality in our entire product range including CNC Jaws Special Type. Our range of products is highly appreciated in the market for their salient attributes. They are manufactured using a high grade of raw material in highly advanced technological advanced skills. Our firm is involved in manufacturing and supplying a huge range of Inner and Outer Diameter CNC Jaws. We design the given product following industrial standards by making use of best quality material and modern technology. 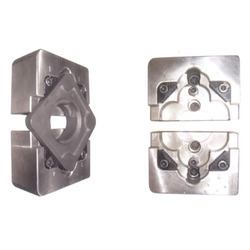 Being a quality-oriented organisation, we are engaged in providing a wide array of Soft CNC Jaws to our clients. The offered range is manufactured using the best quality raw material with superior technology. Keeping in mind the diverse requirement of our clients we are involved in offering a superior quality of Bigger Diameter CNC Jaws. 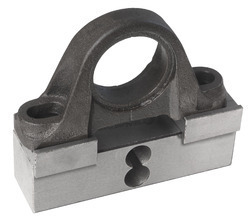 Our range of L-series Base Jaws for Bigger Diameter is extensively used in different other industrial sectors. Looking for CNC Jaw ?